"When I got into the group of the 'movie brats', it was the first time I felt like an insider." A legend. You know him, you love him, you love his movies. If you're like me, you probably grew up watching his movies, and he still continues to make more today. Spielberg is a documentary about the life and career of famed filmmaker Steven Spielberg. From director Susan Lacy, this examines his upbringing, his early film work, as well as his massive successes, featuring interviews with friends, family, and colleagues aplenty. By now, most of us know everything about Spielberg's life and career, but I'm still excited to watch a doc about him that includes all kinds of cool footage. I'm just hoping there's lots of footage of the young, goofy Spielberg, that's the best stuff. Check out the first trailer below and tune in to HBO in October to watch this doc in full. Susan Lacy’s new film traces the private, public, and artistic development of one of cinema’s true giants, from his early love of moviemaking as a kid growing up in all-American suburbia, through his sudden rise to superstardom with Jaws, to his establishment of a film-and-TV empire with DreamWorks and beyond. All along the way, Spielberg has approached every new film as if it were his first. Featuring interviews with friends and contemporaries in the "New Hollywood" (e.g. Francis Coppola, Brian De Palma, George Lucas, Martin Scorsese); key artistic collaborators (including Tom Hanks, John Williams, longtime DP Janusz Kamiński); and, the film's most touching presences, Spielberg's beloved sisters and parents, Arnold and Leah. 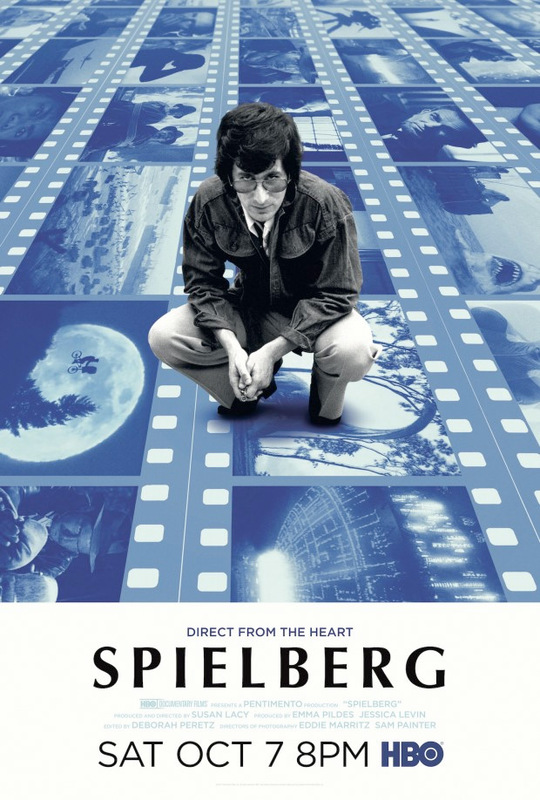 Spielberg is directed by storyteller/filmmaker Susan Lacy, a veteran Emmy-winning television producer and director of "American Masters" making her feature debut with this documentary. HBO will release Lacy's Spielberg streaming exclusively starting October 7th this fall. Who wants to watch this doc?